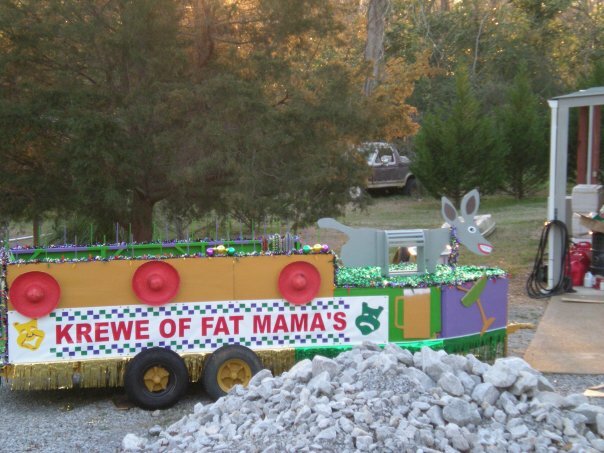 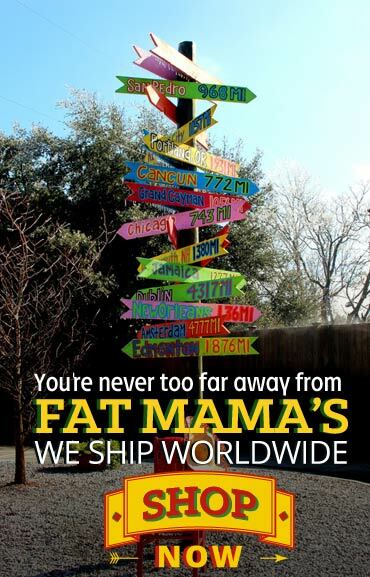 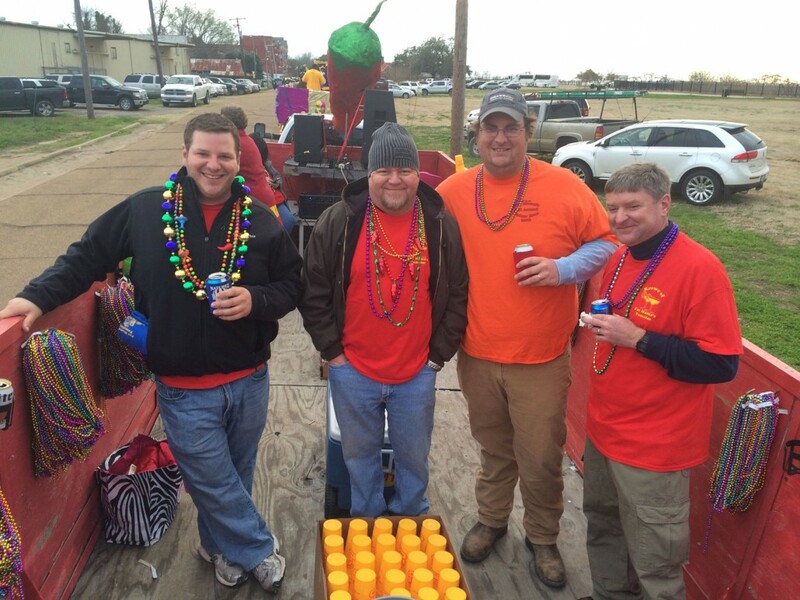 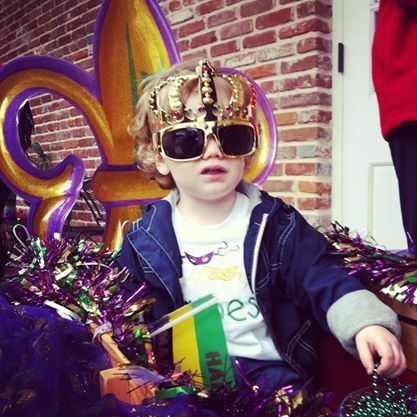 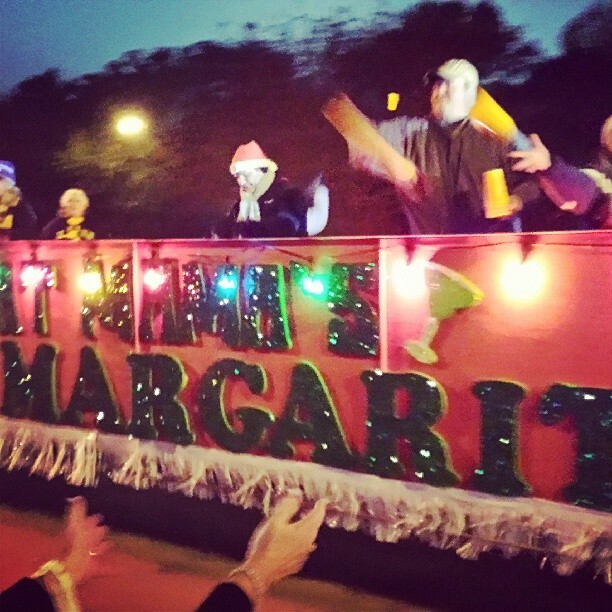 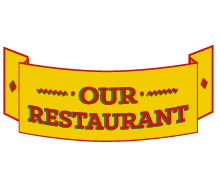 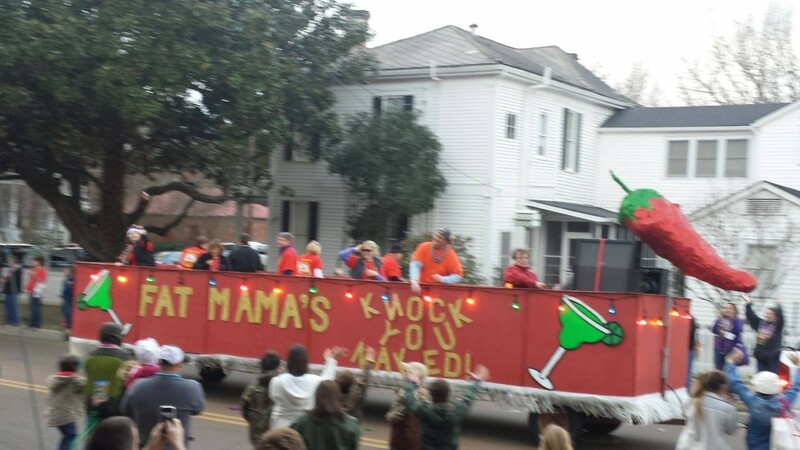 Each year the Krewe of Fat Mama’s participates in multiple local Mardi Gras parades in Natchez, Mississippi. 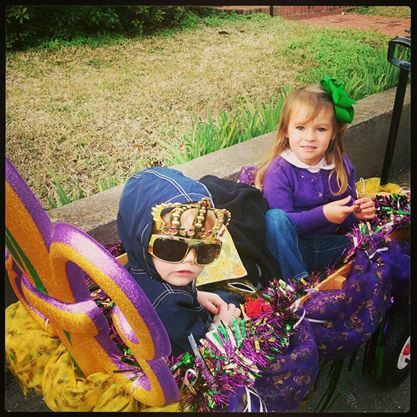 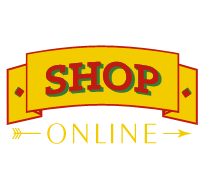 Currently there are two Mardi Gras parades in Natchez that allow floats, The Krewe of Pheonix Parade & The Krewe of Natchez Indians Parade. 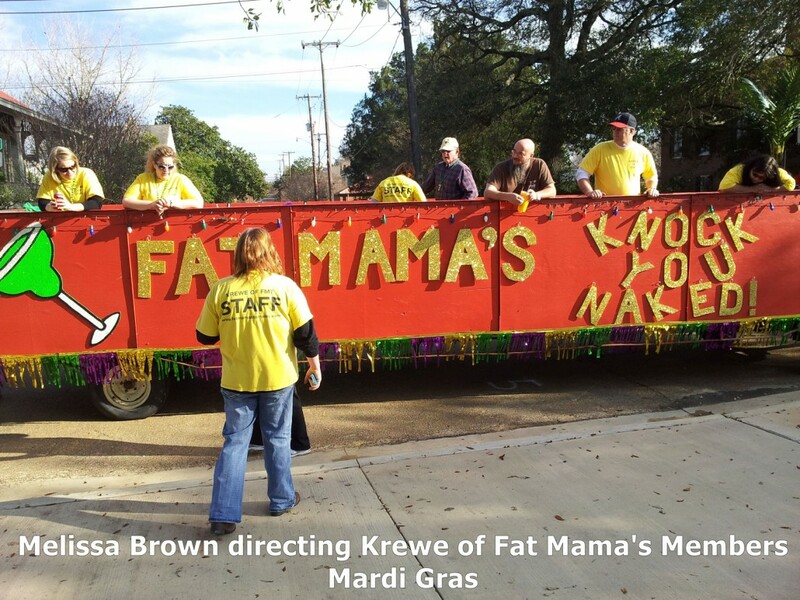 The Fat Mama’s parade float is decorated by krewe members, beads and trinkets are purchased, Chop’s wrecker service provides the tow truck and driver to pull the Krewe of Fat Mama’s float, krewe members dress in their Mardi Gras best threads and we hit the parade route for an evening of fun. 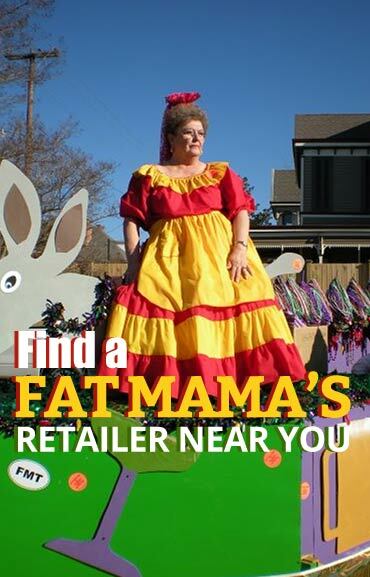 The parade route is roughly 1 mile of shoulder to shoulder parade goer’s, always with big crowds as we pass by Fat Mama’s Tamales, doing their best to catch the attention of people on the Mardi Gras floats to throw them the best beads and trinkets!